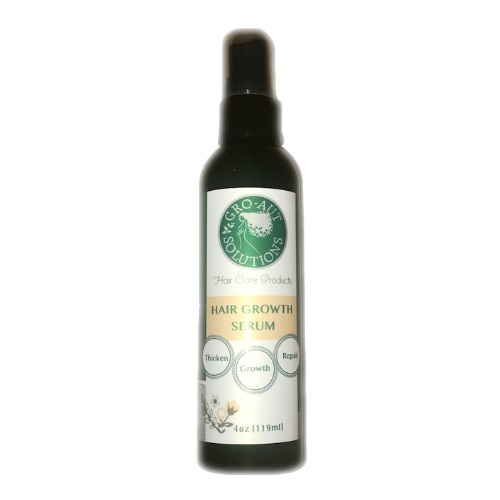 Gro-aut Hair Growth Serum Split End Treatment leaves hair silky soft and manageable while encouraging hair growth. Moisturizes your hair and hair ends helping to prevent split ends. Leaves a light non-greasy sheen without weighing down the hair. With use of our Gro-aut Orange Blossoms Strengthening Shampoo and Orange Blossoms Conditioning Treatment, encourages hair growth with noticeable results in as little as 2 weeks! 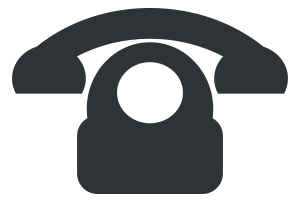 I've been using this for one month. My hair feels more softer and longer with shine. Be careful when you're spraying on your scalp and your hair because if you over spray your hair it will be too silky and it will go through your satin bonnet that's what happened to me. It's a good product and I've ordered more. Love using it on my baby! Still trying this product to see if I get positive results. It smells very good. Only thing I dislike is the spray bottle. I enjoyed the feel of the product in my hair. Only one caveat : use sparingly when setting your hair; it will weigh your hair down and kill the ''''bounce''''. I like this best when I leave my hair wet and curly. For years I have been looking for a product that I could use on my hair when it is wet right after the shampoo. I tried so many different products, spent so much money, threw away so many products just after trying them that I was just about to give up when I found it ! 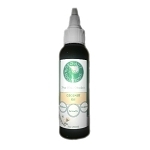 I heard about the Gro-aut hair oil, tried it and loved it. So I said to myself," why not give this one a try". I did it and I am glad I did. Because it does exactly what it is supposed to do : strengthens, softens the hair. And it smells so good. I wish I could eat it ! Seriously give it a try ! It ''''s worth it ! Ingredients: Caprylic/Capric Trygyiceride (Coconut Oil Fractions), Argania Spinosa (Argan) Oil, Gro-aut Oil Herbal Complex Sulfur Free [Cocos Nucifera (Coconut) Oil, Olea Europaea (Olive) oil, Simmondsia Chinensis (Jojoba) Oil, Embilica Officinalis (Bringraj) Herb, Eclipta Alba (Amla) Herb, Rosmarinus Officinalis (Rosemary) Oil, Lavandula Officinalis (Lavender) Oil, Biotin], Rosemary Oil, Peppermint Oil, Fragrance. • Argan Oil - Enriched with Vitamin E. Helps to prevent split ends, tame frizzy hair, moisturizes, reduces dandruff, and promotes hair growth. • Coconut Oil - Known to be the 1st plant oil ever used by mankind, derived from mature fruit of coconut trees. Stimulates hair growth getting deep into the follicles, promotes scalp health, moisturizes dry hair adding luster shine and softness, and prevents hair breakage and split ends contributing to hair length. • Rosemary Oil - Its distilled from the leaves of the herb Rosemary, stimulates cell division and dilates blood vessels, and in turn, stimulates hair follicles into producing new hair growth. • Lavender Oil - Controls Alopecia (hair loss), is an anti-inflammatory, anti-oxidant, and inhibits bacteria. 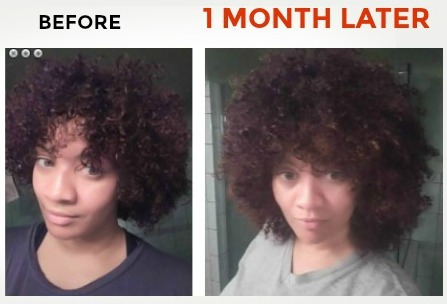 Promotes new hair growth and overall improvement of hair health. • Peppermint Oil - Extremely rich in fatty acids and nutrients to stimulate scalp health. Balances the ph level of the scalp. 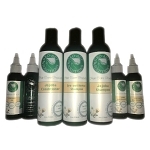 Promotes hair growth by increasing blood flow and healthy blood circulation. **Avoid use of our products if you have an allergy to any of the listed ingredients. We suggest a skin sensitivity test be performed prior to use if any uncertainty of an allergy exist. Some herbs and essential oils should be avoided during pregnancy and other conditions. Please check with your physician prior to use for any uncertainty. How to Use: To moisturize hair and encourage growth, apply to hair and scalp and massage in. May be used as often as needed.